The BOSS is ONE HOT CAR. This racing style play vehicle has the feel of a dirt track vehicle. A special designed joystick allowing the vehicle to turn on a dime controls the Boss. Its body is made of roto molded low linear plastic making it very strong, durable and easy to clean. The BOSS has quality built wide profile tires for added stability. 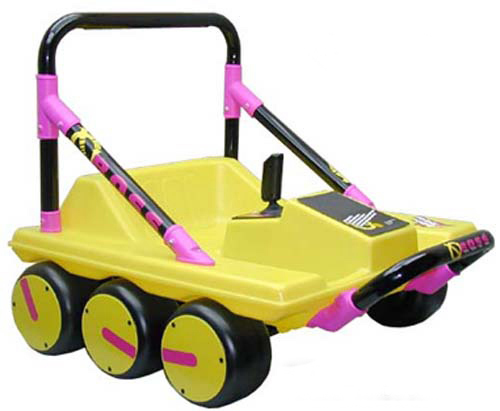 It will give your young child hours of enjoyment in tight confined spaces as well as in the yard, driveway or any other open spaces. The Boss is appropriate for ages 3-7 years old.